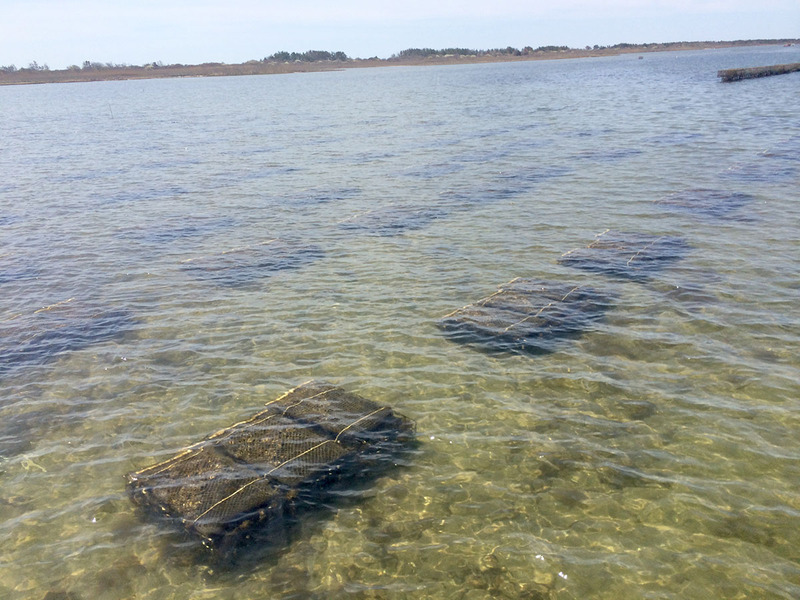 June 4, 2018, Wakefield - Nearly a decade has passed since the Rhode Island Coastal Resources Management Council (CRMC) instituted its rule of a five-percent threshold of aquaculture use in each of the state’s salt ponds. The limit seeks to balance all users and uses of the salt ponds, but conflicts still arise. According to Robert Rheault, executive director of the East Coast Shellfish Growers Association, at the time of the study on carrying capacity, the New England Marine Fisheries Council was recommending a moratorium on new aquaculture leases because of fears that too many grown shellfish would eat all the phytoplankton and the wild stock would starve. There weren’t many carrying capacity studies to compare in the literature, but one conducted in Australia for a mussel farm provided a good model, and the Aquaculture Working Group extrapolated everything to Rhode Island, making the assumption that conditions and parameters were similar. 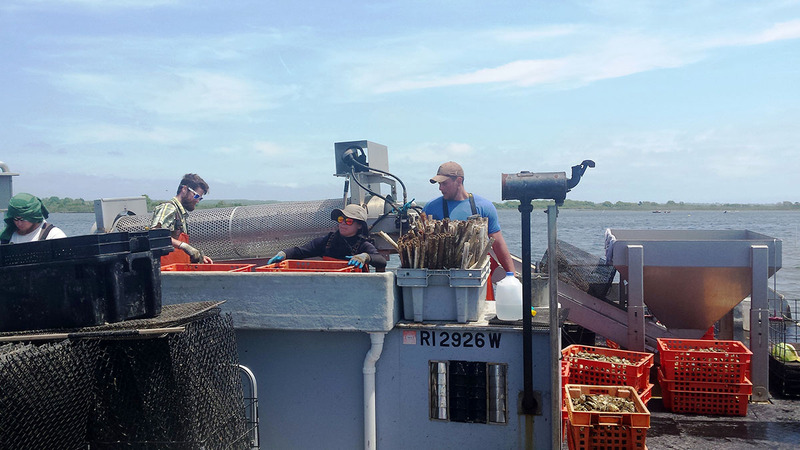 The group estimated that, based on an average planting density of five tons per acre, the industry should be able to have five percent of any water body covered with oysters before starting to trip the ecological carrying capacity, Rheault said. There are several types of carrying capacity: physical carrying capacity – the total area of marine farms that a physical space can accommodate; production carrying capacity – the stocking density of a product at which harvests are maximized; ecological carrying capacity – the stocking or farm density which causes unacceptable ecological impacts; and social carrying capacity – the level of farm development that causes unacceptable social impacts. All parties – representatives from the University of Rhode Island, Roger Williams University, U.S. Department of Agriculture, CRMC, RI Department of Environmental Management, R.I. Department of Health, state legislators, Save The Bay, Salt Pond Coalition, Sierra Club, and members of the aquaculture industry – involved in the work agreed that this was the best available science, and as long as the five percent was not exceeded, conditions would be favorable until there was better science to guide the industry. The working group put together a white paper which described the whole process and the NEMFC accepted the new standard. In 2010, Carrie Byron developed a proper model for carrying capacity based on local data on the various elements of the food web, and this model showed the ecological carrying capacity was closer to 45 percent in Narragansett Bay and more than 50 percent in the salt ponds. “This makes far more sense when you look at historical populations: for instance in 1890 we had one-third of Narragansett Bay leased out for oyster farms and scientists reported that Narragansett Bay had the best oyster meat production per acre of any growing area on the East Coast,” Rheault said. Aquaculture is one of the most-regulated activities in Rhode Island’s coastal waters. The RI Marine Fisheries Council, which serves in advisory role to the CRMC permitting process, is copied on every aquaculture public notice. All aquaculture applications are noticed to the town in which it is proposed (notices go to the town planner’s office; they then share with the waterfront advisory commission, harbormaster and town conservation commission or each town’s equivalent); RI Department of Environmental Management staff (Division of Fish &Wildlife, Office of Water Resources, Office of the Director, and Office of Law Enforcement); RI Department of Health; United States Coast Guard; U.S. Army Corps of Engineers (they share it with National Ocean and Atmospheric Administration Fisheries or National Marine Fisheries Service, U.S. Environmental Protection Agency, and others at RI DEM); NOAA Fisheries, Rhode Island Saltwater Anglers Association, RISA, individual commercial shellfishers who request to be on the mailing list; all commercial fishing associations in Rhode Island; Save The Bay; academia who have asked to be on mailing list; individuals who have asked to be on an aquaculture mailing list, as well as aquaculturists; the Ocean State Aquaculture Association; and East Coast Shellfish Growers’ Association. Controversy over aquaculture applications is something the industry and the CRMC have grown accustomed to, through both Beutel and Rheault said it is often unwarranted. “Ninety-five percent of every coastal pond is available for use by all other activities, and in many cases, that five percent is not excluded for use by the existence of aquaculture,” Beutel said at the RISAA meeting. “I am surprised when people are not willing to accept five percent of a pond to be devoted towards sustainable food production,” Rheault said. “Many types of aquaculture don’t obstruct other users at all, except for shellfishing. For instance, bottom culture represents most of the activity in Point Judith Pond. You can sail there, fish there, water ski. The only thing we ask you not to do is help us harvest our oysters. 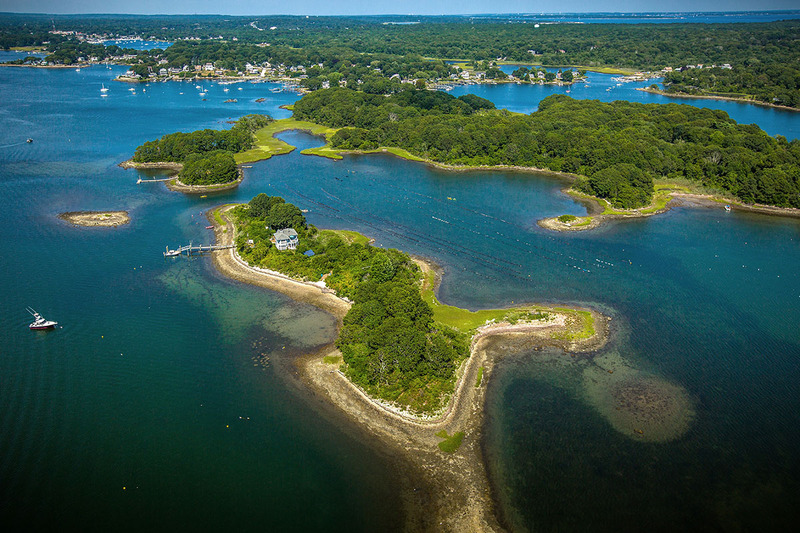 According to Beutel, more than half of the aquaculture in Rhode Island is sited outside of the coastal ponds – the largest farm (46 acres) is the East Passage off of Middletown. Both Beutel and Rheault acknowledge that there are some types of aquaculture that require exclusive use. Floating gear is one method of growing that does physically occupy water area, but the lease cannot be in a navigation channel, over an eelgrass bed or in an area with an existing fishery. “So we are taking unproductive bottom and making it productive, with obvious benefits to the economy and water quality, while the rest (95%) of the ponds are available for all the other uses,” Rheault said. Aquaculture activities must be permitted by the Council, and applicants might be granted exclusive use of the submerged lands and water column, including the water’s surface, when the Council determined such exclusive use is necessary for the effective execution of the permitted aquaculture activities. The public is provided with means of reasonable ingress and egress to and from the lease area for traditional activities including boating, swimming, and fishing, except to the extent necessary to allow proper growing of the aquaculture species/product. The executive director of the CRMC can order removal of any facility that is in obvious disrepair or has been deemed a safety or navigation hazard, or the temporary removal of gear and cultivated species if the lease has not been used for its permitted purpose for a substantial period of time. For more information on the permitting process for aquaculture leases, go to http://www.crmc.ri.gov/aquaculture.html and also to the Red Book, http://www.crmc.ri.gov/regulations/RICRMP.pdf (beginning on page 181 (Section K).